Coming after their fantastic Other Voices EP by only a matter of months, the Chicago garage-punk group brings forth some powerful, yet intentionally less original material. The title track of the EP sounds stereotypically like their live show, loud and brash, and stands out as the most relevant and exciting cut. The next two tracks, however, seem more like B-sides than essential singles. Both feature alternate titles dubbing themselves “rip-offs,” the first of The Misfits and the second of The Black Lips. 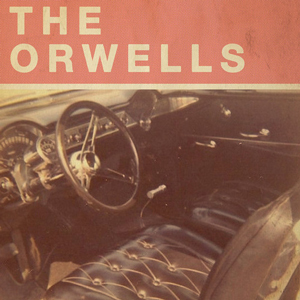 It is to be noted that each are rather successful in at least that purpose; The Orwells know and respect the great bands that came before them. But those tracks in combination with the live session of “Halloween All Year” make for a release with only one notable new song. It begs the question as to whether or not an official release produced by TV On The Radio‘s Dave Sitek was necessary for such a minor expansion to their core discography. The excitement for The Orwell’s follow-up full length hasn’t dwindled, but the guarantee of an entirely memorable album seems less certain.